Frankfurt was the venue chosen by Nissan to unveil the all-new X-Trail (if you live in the U.S., its name is Rogue) compact sport utility vehicle. This SUV will be one sale from July 2014 and will be built in different manufacturing sites around the world to supply all markets where it is sold. 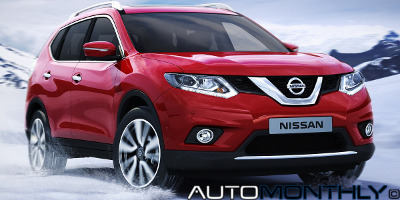 Back in June, Nissan announced they were going to bring back the Terrano and that it was going to be based on the Renault/Dacia Duster. This is done thanks to the partnership between Renault and Nissan, allowing the Japanese company to save a lot of money in the development of such a car. 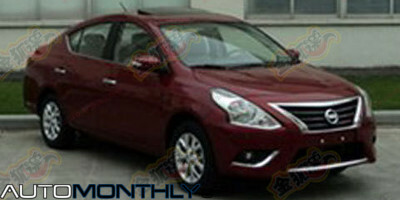 What you see here are two images of the Nissan Sunny, also known as Nissan Versa in some markets, that will be shown later this year. The car suffers a few aesthetic changes, particularly at the front, where it gets redesigned headlamps, grille and front bumper. My Japanese is a little rusty, meaning i have no idea what is written in the press release, and Google translator wasn't that helpful, so excuse me if i provide any false information. From what i could determine, the Japanese brand will offer a NISMO aero package, a NISMO parts package and a Nismo performance package. The Nissan March, also known as the Nissan Micra in many markets, gained a sportier version brought to us by Nismo. Well, it isn't really to us, because it will only be sold in Japan. 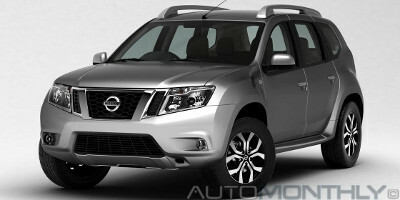 The March will be offered in two grades or trim levels, the base Nismo and the Nismo S.
The Nissan Terrano stopped being produced many years ago, but now the Japanese brand, which is a partner of Renault, which in turn owns Dacia, decided to re-use the name Terrano in a vehicle whose base is the Duster. 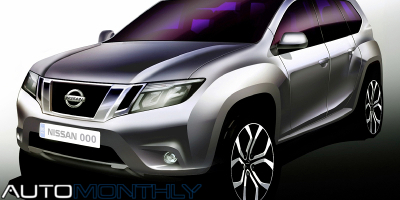 Together with this announcement, Nissan also revealed a sketch showing what the new SUV will look like. 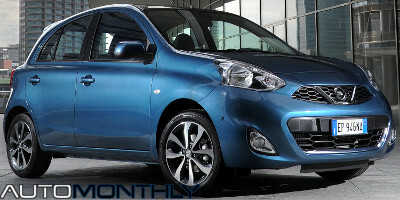 A few months ago, Nissan showed the facelift of the March, which is the European version of the Micra, and today we get to see for the first time the official images of the upgraded Micra. 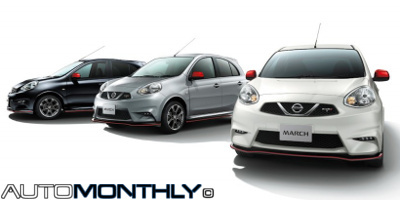 There are a few changes between the Micra and the March, besides the obvious changes compared to the previous model. The City Express is the vehicle with which Chevrolet will attack the North American and Canadian markets. 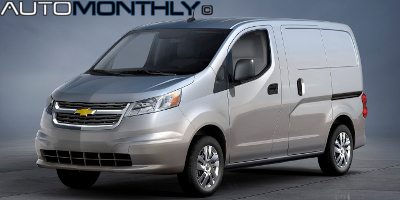 This small cargo van is designed for everyone that is searching for a small, fuel-efficient, cargo carrying vehicle. It will be available in LS and LT trim levels. 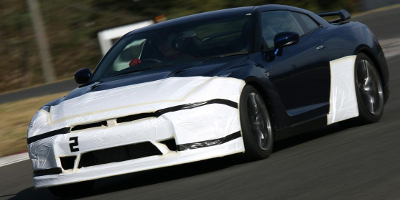 We suspected that sooner or later Nissan's Motorsport division (Nismo) was going to create a more powerful version of the GT-R, but only now, Nissan's vice-president Andy Palmer confirmed this when he said he recently tested the prototype in Japan, adding that it is the fastest GT-R ever. Ten days ago, Nissan showed the first teaser of a what seems to be a hatchback or possibly a fastback that will be introduced at the Shanghai Motor Show, and today we get to see a seconds teaser which shows the back of this concept that was created by Chinese designers from the Nissan Design China in Beijing. On April 20, Nissan will unveil their new concept, the FRIEND-ME, at the Shanghai Motor Show. The new car was created by Chinese designers from the Nissan Design China in Beijing to appeal to the young generation in China. In Shanghai you will also be able to view the Nissan GT-R, Quest, Murano and Teana, besides the Innovation Wall. 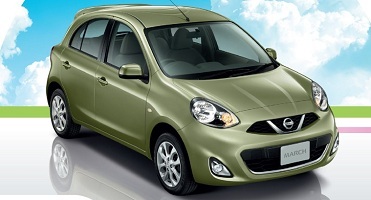 A video of the improved and slightly redesigned Nissan March (Micra in Europe and Japan) appeared on Youtube. 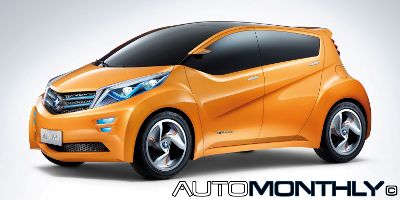 The video, which seems to be a television commercial from Thailand, now shows the facelifted small city car. 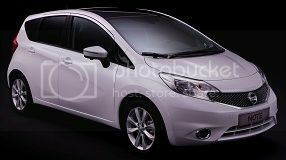 Meanwhile, Nissan's Thai page also revealed the new Nissan March. 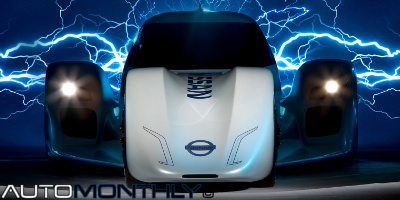 You've probably heard of the DeltaWing which used a Nissan engine but now it seems Nissan left the project. Why? Nobody knows. What we do know is that the Deltawing will have a new 1.9liter Mazda engine replacing the Nissan 1.6liter prepared by RML. Nissan will build a new C-Segment car in Barcelona, Spain. 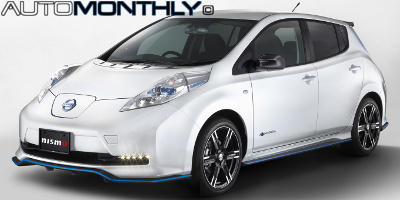 In total Nissan will invest 110 million euros, almost 150 million dollars, in their factory located in Barcelona, Spain, so they can start building a new passenger car from July 2014. The vehicle is rumored to be a new C-Segment car, possibly with some styling cues taken from the Nissan Invitation concept shown almost a year ago (In reality this concept gave birth to the Nissan Note). Nissan surprised everyone by showing the Nismo version of the 370Z during the official presentation of the European Juke Nismo that took place in Barcelona. The new 370Z will be sold starting from July.